Long ago, the Libby Islands, consisting of Little Libby Island and Big Libby which are joined by a sandbar, were blanketed with trees. Today, there isn’t a single one; only stumps hidden by scrubby grass serve as reminders of the long-lost forests. 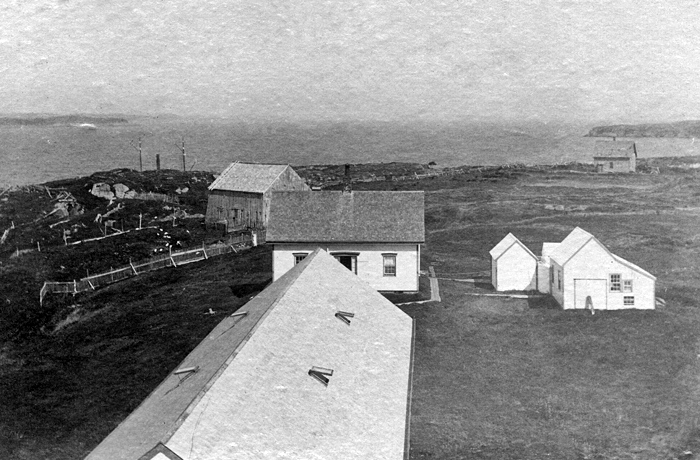 And by 1980, all the buildings that made up Libby Island Light Station, other than the tower and fog signal building, had disappeared as well. Upkeep is expensive on remote islands, and the final keeper’s dwelling was reputedly destroyed as a training exercise by an amphibious army unit. 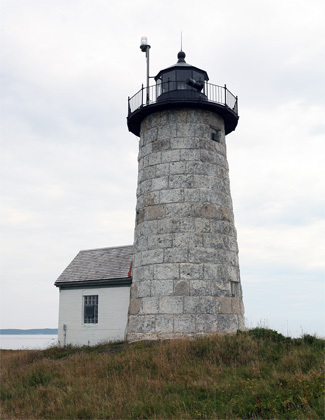 Contractors Benjamin Beal and Quincy Bicknell, who submitted the low bid of $2,850, built a beach-stone tower and a small brick dwelling directly on a rocky ledge near the southern end of Little Libby Island in the summer and fall of 1822. 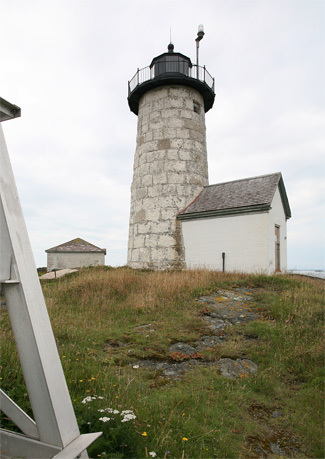 The light, which marks the entrance to Machias Bay and also serves as a coastal light, was first lit by Keeper John McKellar in November 1822. Over the ensuing winter, the tower developed a crack, which McKellar attempted to secure with braces until the return of warm weather permitted proper repairs. 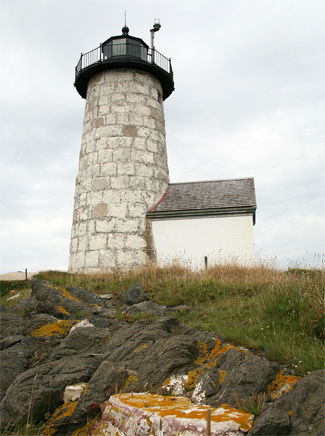 However, in April 1823, mere months after being constructed, the tower collapsed “with a dreadful crash to the ground.” Collector and Superintendent of Lighthouses Isaac Isley opined that a combination of poor workmanship and lime mortar that had not completely hardened before the frost set in caused the structure to crumble. 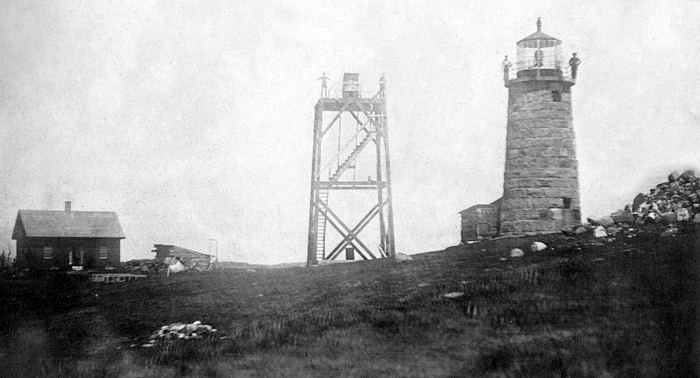 Noah Humphrey rebuilt the tower for $1,449, and its lantern displayed a light made up of ten lamps set in fourteen-inch reflectors, until a fourth-order Fresnel lens took their place in 1855. The tower and house were in poor shape by 1842, according to I.W.P. Lewis’ inspection report of that year. The tower had cracks that ran from top to bottom and its mortar was “mostly sand, and could be scooped out by hand from the joints.” The roof leaked and the interior woodwork was rotten. The octagonal, wrought-iron lantern was glazed with numerous panes of “impure” glass, fifty of which had cracked in a storm the previous February that twisted the lantern room. The dwelling, which stood 250 feet from the tower and had to be accessed using a 230-foot-long wooden trestle bridge, had two rooms and a kitchen on the first floor and two chambers in the attic. This structure was in distressing shape too with a wall that was two inches out of plumb and smoky chimneys. When Keeper Isaac Stearns took charge on February 24, 1841, the entire station was “in a ruinous condition,” but he and his family of seven did their best to survive even though they were provided no well or cistern and had to travel twelve miles to Machias for supplies. Stearns received an annual salary of $350 out of which he “hired” a barn and spent $30 to rent the rest of the island outside the government’s three-acre parcel. Matthew Kellar took charge of the station in 1846, and an 1850 report deemed him a “good” keeper. The rebuilt stone tower was in good repair, but not the house. It was badly repaired and very leaky, causing the “keeper’s family [to] suffer very much in consequence of it, in rainy weather.” A new dwelling was built in 1854, and three years later, the station finally received a boat slip. 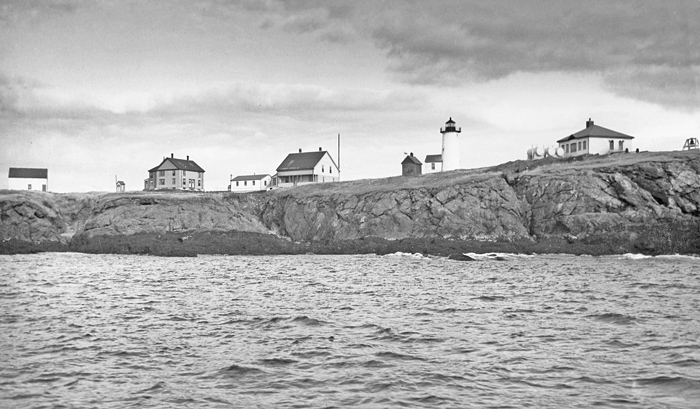 Libby Island is one of the foggiest spots on Maine’s coast, and a newspaper article in 1963 went as far as to label it the foggiest place in the entire country, with an average of 1,554 hours of fog each year. In 1867, the station’s bell tower was blown down and had to be rebuilt. The fog bell machinery was broken in the incident but was soon repaired. A third-class Daboll fog trumpet, installed in August 1884 inside a new, thirty-two-foot-square, brick building, replaced the fog bell. 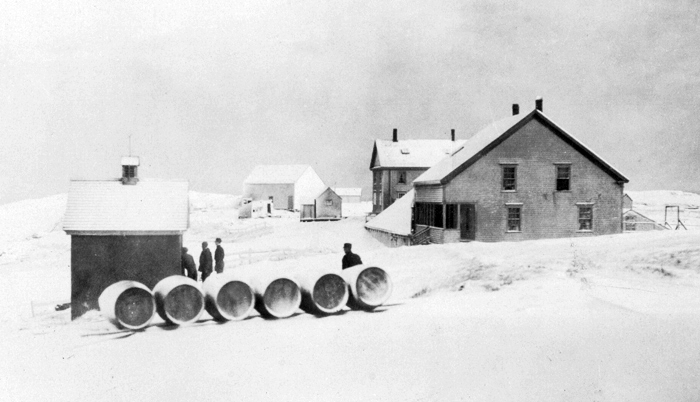 The additional work required to operate the fog signal necessitated an assistant keeper, and Alexander M. Drisko was hired as the station’s first assistant in 1884. In 1890, the signal sounded 2,233 ½ hours, which equates to about a quarter of the time, and consumed roughly eight tons of coal. 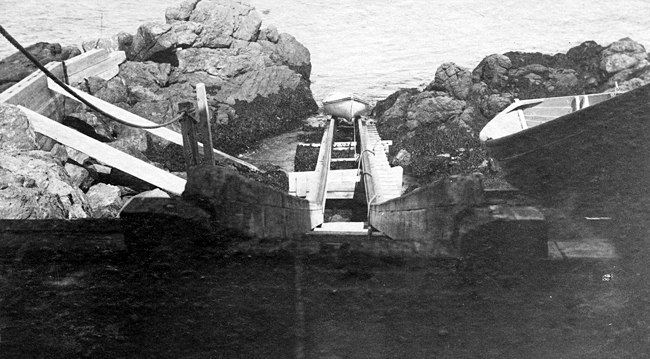 More powerful steam whistles were installed on Libby Island in 1891, along with a 40 by 140-foot rain shed and a 32,000-gallon cistern to provide the necessary water. Up to this time, the assistant keeper had been related to the head keeper – either a brother-in-law or a son-in-law – so the keepers could live together under one roof. This changed with the resignation of Head Keeper Alexander M. Drisko in 1891, and to make matters worse, the steam whistle required the appointment of a second assistant. While the Lighthouse Board unsuccessfully petitioned for funds for a new double-dwelling, the old dwelling was enlarged in 1896, and then in 1898 part of the rain shed was converted into a dwelling for the head keeper. The dwelling shared by the assistants was finally “remodeled, enlarged, and renovated,” in 1902, and the dwellings and fog signal building were linked by telephone. On June 6, 1918, twenty-seven-year-old Samuel Holbrook, who had been serving as an assistant keeper on Libby Island for three years, drowned near the station. After having drifted over eighty miles, Holbrook’s body was discovered roughly four months later, just five miles from his home on Swans Island. In 1919, Hervey H. Wass, who had been serving as first assistant keeper at Whitehead Island, was promoted to head keeper at Libby Island. The lighthouse tender Hibiscus delivered Keeper Wass, his wife Mabel, four children, and all their belongings – including daughter Hazel’s piano – to their new island home. The head keeper’s house was entered through a 100-foot-long shed built to channel rainwater into underground cisterns. Their home had eight large, pleasant rooms, each with a view of the water. 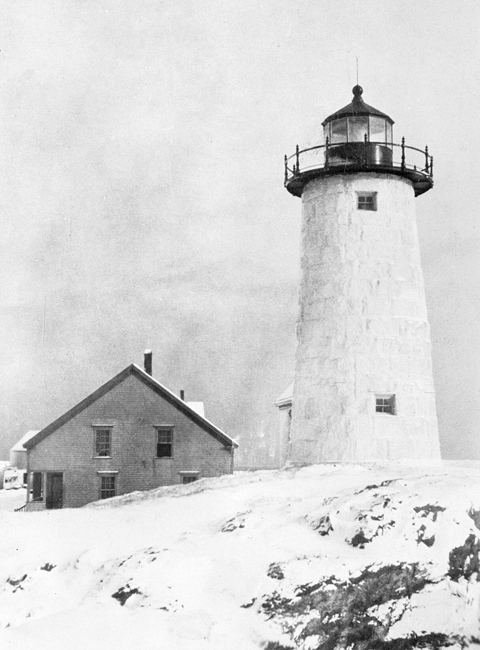 Every year, the barn, whistle house, and tower were whitewashed and the lantern painted black. There was fence and slip mending, brass polishing, and home repairs to be attended to as well. Annually, eighty tons of soft coal were delivered for the fog signal and unloaded by the tender’s crew. Each family was allotted twenty-one tons of hard cold, and several cords of firewood. In 1923, a diesel-powered fog signal using fifty-gallon drums of diesel replaced the dirty coal-fed system. The light also required vast quantities of fuel. “Kerosene for the light had to be carried from a storage building about a hundred feet away,” wrote Phil Wass, son of Hervey Wass. “The hard part was carrying it up the spiral staircase to the top of the tower. Another time-consuming job was pumping air into the pressure tank. The kerosene was sprayed, under pressure, through a jet. The vaporized fuel, when burned, heated the mantle, which glowed with an intense white light.... When the light was burning satisfactorily, it gave out a loud roar and an extremely bright light. Somewhat blinded, we would carefully make our way down the stairs, hanging onto a rope attached to rings in the wall.” The light had to be monitored, because although the kerosene was strained, impurities could clog the jets causing clouds of smoke and tall flames, which could fill the entire lantern room. Nights were divided into three shifts, light-up to 10 p.m., 10 p.m. to 2 a.m., 2 a.m. to dawn. If someone was on leave, the shifts were six hours long. Some repairs required machinists and other workmen who would board with the families until their duties were completed. One man who stayed in the Wass’ house in the boys’ room was suspected of using the window instead of the chamber pot. While the boys found this funny, their father did not, as the water from the roof ran into their cistern for drinking water. To solve the matter, Keeper Wass nailed the window shut. 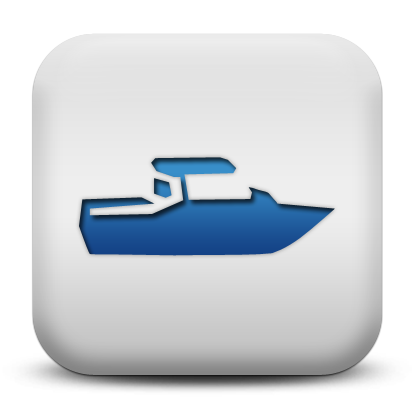 The head keeper assigned tasks, planned the work, and kept the log – recording all major events and tracking supplies. At Libby Island, many of the records refer to fog-related issues – the specific types of fog equipment, amount of fuel consumed, the number of hours the signal sounded, and the blast characteristics. Then there was farming and animal husbandry (with at least one milk cow and plenty of chickens), hunting and fishing, and gathering berries (cranberries, raspberries, and blueberries) to keep them occupied. Somehow, the keepers still managed to find time for family, religion, and games. While at Libby there were few conflicts, as the Wass family wasn’t very close to the other families. There were no joint meals, socializing, picnics, or holidays, but they did play baseball after dinner. There was also a swimming hole that the men dynamited out of the rock. The sun would warm the captured seawater, making it a pleasant place for the children and adults alike. In 1920, George Woodward, a widower with two children, Coleman and Charlotte, joined the station as an assistant. George Woodward and Hazel Wass fell in love, and they married in 1924, the same year George was transferred to Franklin Island. 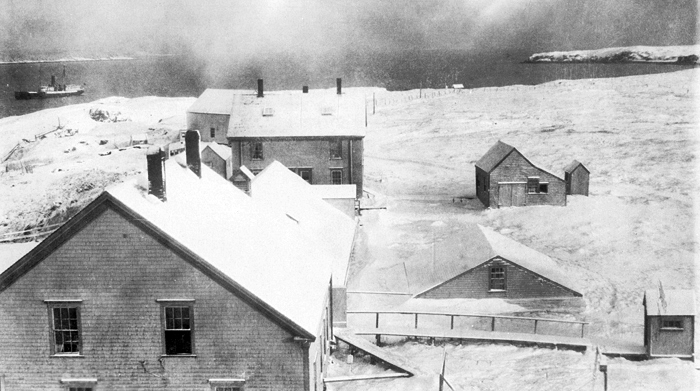 Fog and the fact that the Libby Islands lie in the direct path of vessels led to many shipwrecks. According to logs kept at the lighthouse, there were thirty-five shipwrecks near the station between 1856 and 1902 that claimed fifteen lives. One of the worst occurred in 1906, when the three-masted Rockport schooner Ella G. Eels, traveling from New Bedford to Windsor, Nova Scotia, ran aground during a thick fog. 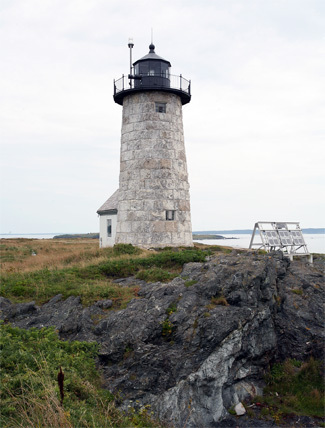 The lighthouse keepers were only able to rescue Captain W.A. Breen from the wreckage; the other four crewmembers drowned. In 1923, Keeper Wass and Justin A. Foss were recognized for assisting the crew of not one but three vessels that wrecked near the station that year: the schooner F.C. Lockhart, the schooner Hiram D. MacLean, and the fishing boat Bessie May. Libby Island’s remote location was nearly fatal when one of Colbeth’s sons was duck hunting on the island. The boy leaned his gun on a rock, and his dog knocked it over, causing it to discharge and strike the boy’s right arm. Keeper Jasper Cheney was a decent medic, but it took the Coast Guard four hours to arrive to transport the lad to the hospital in Machias. He lost a lot of blood and never regained full use of the arm. 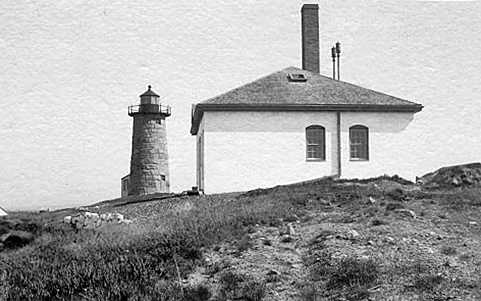 In the late 1940s, Libby Island Lighthouse was modernized. 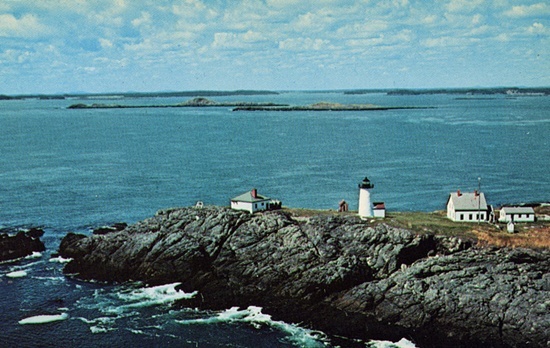 Keeper Gene Watts wrote to the Maine Coast Fisherman in October 1949, “Upon my arrival... kerosene lamps were used in the dwelling... [but] all that has been changed. We now have 110-volt electricity all over the place, light tower and all. We have a modern bathroom with tile walls, also an up-to-date kitchen with all the conveniences....” The Coast Guard left in 1974, when the light was automated, the Fresnel lens removed, and the assistant keepers’ dwelling, rain shed, and barn were demolished. In the late 1800s, Libby Island’s keepers became wardens, helping the American Ornithologist Union save the lives of sea birds, whose numbers were being depleted for their eggs and feathers. Today, the roles have reversed. 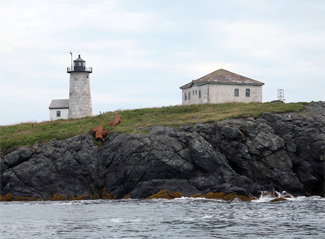 Libby Island Lighthouse was transferred to the Maine Coastal Islands National Wildlife Refuge in 1998, and now the keepers of the birds care for what remains of the station. Head: John McKellar (1822 – 1841), Isaac Stearns (1842 – 1846), Matthew Kellar (1846 – 1850), John Grant (1850 – 1853), Matthew Kellar (1853 – 1860), James M. Foster (1860 – 1861), James Robinson (1861 – 1864), John C. Ames (1864 – 1866), Waterman Wood (1866 – 1871), John C. Ames (1871 – 1874), Albert B. Wooster (1874 – 1877), Charles A. Drisko (1877 – 1883), William H. Drisko (1883 – 1885), Alexander M. Drisko (1885 – 1891), Danford O. French (1891 – 1895), Frederick W. Morong (1895 – 1898), Roscoe G. Johnson (1898 – 1903), Henry M. Cuskley (1903 – 1912), Charles A. Kenney (1912 – 1913), Albion T. Faulkingham (1913 – 1919), Hervey H. Wass (1919 – 1938), Millard H. Urquhart (1938 – at least 1941), Jasper L. Cheney (1940 – 1949), Bill Bybee (1949 – 1950), Frank Dernoga (1952 – 1954), George Staples (1963), Harold Allen (1965 – 1966), Richard Gary Craig (1966 – 1967), Alan Skidmore (1969 – 1972). First Assistant: Alexander M. Drisko (1884 – 1885), Danford O. French (1885 – 1891), John H. Douglass (1891 – 1892), Warren A. Murch (1892 – 1894), Bela W. Proctor (1894 – 1895), Roscoe G. Johnson (1895 – 1896), George S. Connors (1896 – 1899), Almon Mitchell (1899 – 1902), Herbert Robinson (1902 – 1905), Leroy L. Meyers (1905 – 1907), Charles A. Kenney (1907 – 1912), Albion T. Faulkingham (1912 – 1913), Charles A. Jewett (1913 – ), Wyman M. Larrabee (1915), Roscoe G. Johnson (1915 – at least 1917), Samuel Holbrook ( – 1918), Justin A. Foss (1919 – 1932), Gleason W. Colbeth (1932 – 1945), Gene Watts (1949), Robert W. Brooks (1950 – 1951), Paul Kessler (1953), Roger Lee Drinkwater (1958), George Morrison (1963), Donald Constantino (1968 – 1969), Jay Novegrod (1969 – 1972). Second Assistant: Bela W. Proctor (1892 – 1894), Roscoe G. Johnson (1894 – 1895), George S. Connors (1895 – 1896), Ephraim N. Johnson (1896 – 1899), Otto A. Wilson (1899 – 1902), Leroy L. Myers (1902 – 1905), Charles A. Kenney (1905 – 1907), Winfield P. Kent (1907 – 1909), Albion T. Faulkingham (1909 – 1912), Charles A. Jewett (1912 – 1913), Leo H. Luksich (1915), Samuel Holbrook (1915 – at least 1917), Justin A. Foss (1918 – 1919), Willis M. Clark (1919 – ), George E. Woodward (1920 – 1924), Everett Mitchell, Bernard A. Small (1926 – 1928), John Beal (at least 1930), James McCloud, Gleason W. Colbeth (1932), Jasper L. Cheney (1933 – 1940), Robert Cale, Sr. (1949 – 1951), George Staples (1955), Larry Smith (1963). 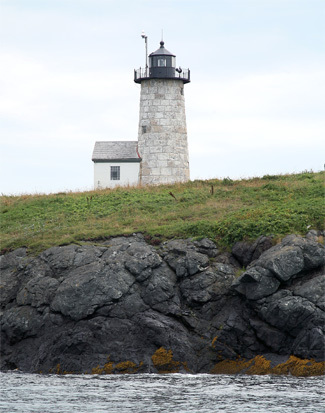 The Lighthouses of Maine, Jeremy D’Entremont, 2009. 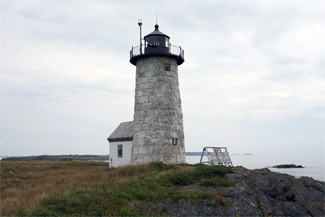 Maine Lighthouses: Documentation of Their Past, J. Candace and Mary Louise Clifford, 2005. “From The Memoirs Of A Veteran Lighthouse Keeper,” Lighthouse Digest, Timothy Harrison, July 2008. 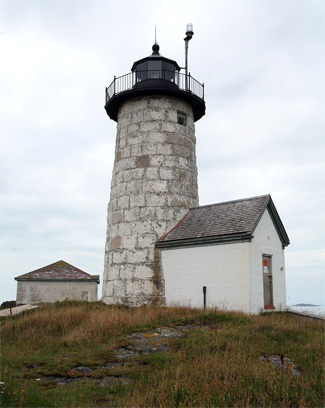 “Lighthouse Keepers Saved Lives Of Birds, As Well As Humans,” Lighthouse Digest, Ted Panayotoff, July 2008. Lighthouse in My Life. The Story of a Main Lightkeeper’s Family, Philmore B. Wass, 1987. Located on Libby Island, marking the entrance to Machias Bay. For a larger map of Libby Island Lighthouse, click the lighthouse in the above map. The light is best seen by boat. 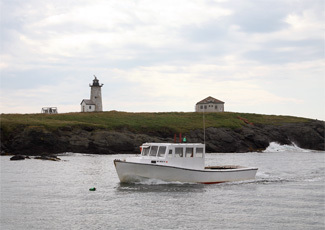 Bold Coast Charters of Cutler offers sightseeing trips along the Bold Coast that pass by this light. 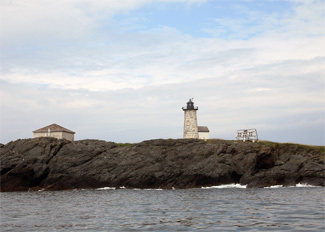 In recent years, Bar Harbor Whale Watch has offered lighthouse excursions that pass by Libby Island Lighthouse. 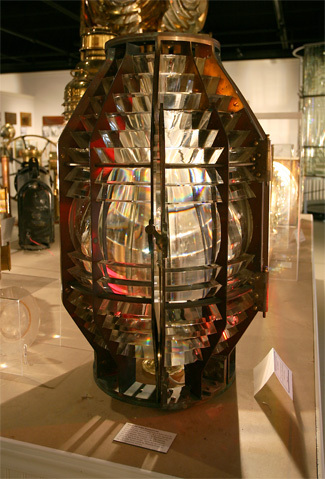 A fourth-order Macbeth-Evans Fresnel lens believed to have been used in the Libby Island Lighthouse is on display at the Maine Lighthouse Museum in Rockland. 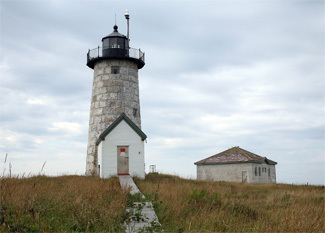 The lighthouse is owned by the U.S. 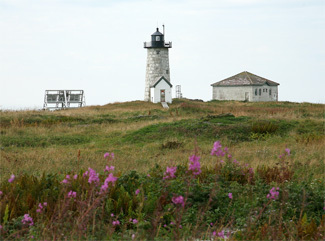 Fish and Wildlife Service, and Libby Island is part of the Maine Coastal Islands National Wildlife Refuge. Grounds/tower closed. “Lighthouse in my Life” by Philmore Wass is the best book I have read for understanding what it was like to grow up in a lighthouse family on a remote island. 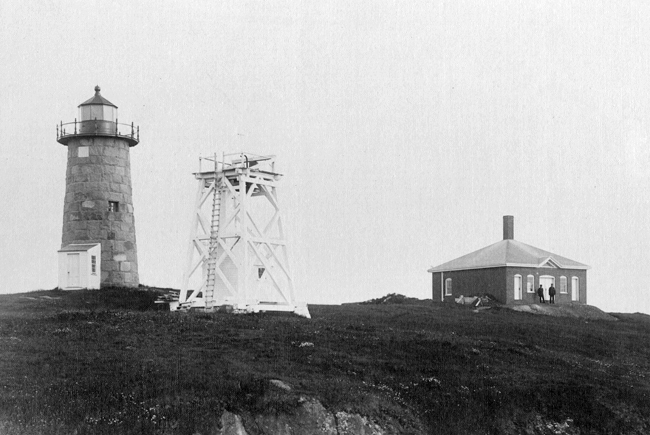 Philmore’s father, Hervey, served as head keeper of Libby Island Lighthouse for twenty-one years, after transferring from Whitehead Island in 1919. Philmore and his brother Irwin thrived on Libby Island, enjoying countless adventures through pulling lobster traps, hunting waterfowl, and exploring shipwrecks. One of Philmore’s sisters, Winona, did not relish life on Libby Island quite so much. In fact, when asked to make a tape about her life on Libby, she replied “I don’t want to talk about Libby Island. I hated the place.” The isolated island life, with few children for playmates, was clearly not meant for everyone. Keeper Wass and his wife Mabel were desirous that their children receive a good education. Although a few itinerant teachers lived on the island now and then, for many years Mabel rented a cottage in Machias so her children could attend public school. While this meant living apart for much of the year, the family always enjoyed their summers together on the island. Philmore didn’t suffer from the schooling he received, as he went on to get a Ph.D. from Columbia and retired as a professor of Business Administration at the University of Connecticut.